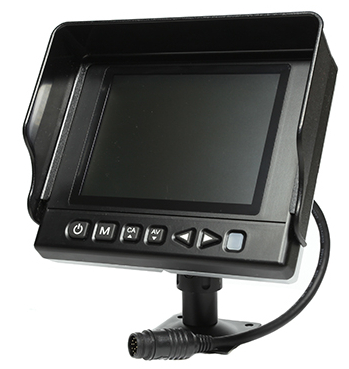 One of the toughest reversing camera monitors on the market! Features a heavy duty yet light weight all aluminium casing which is sealed to the hightest waterproof rating IP69K high pressure water/dust proof. 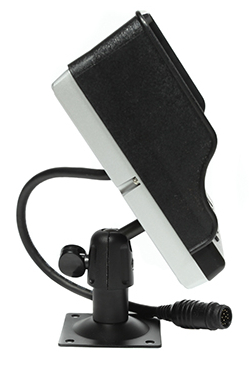 The monitor can withstand the harsh environments of the the construction, quarrying and mining industries as it has been vibration tested up to 20G. 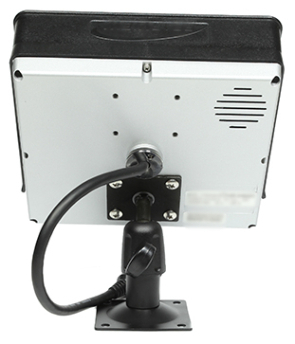 Illuminated controls aid night time operation and fully programmable inputs, reversing marker and OSD Crosshair make this an excellent choice for vehicles operating in harsh environments.